Lambeth has secured a deal to allow older residents free travel on most buses, tubes and trains 24 hours a day – a deal guaranteed until 2015. The extension to the council-funded Freedom pass scheme was agreed as part of a five year deal negotiated between London’s councils and Transport for London. Each year Lambeth pays Transport for London and rail operators in the capital to allow older and disabled residents to use their services free of charge. 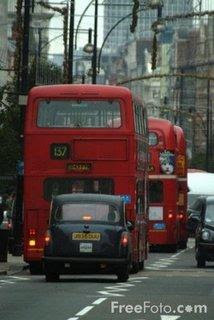 For 2009/10 Lambeth will pay £5,877,576 to give 32,196 elderly and disabled residents free travel. At a meeting of London Councils Transport and Environment Committee Lambeth along with their fellow Labour boroughs, voted to extend the free travel scheme for older people. we are tour operators in Kashmir India. we provide Kashmir Holiday Tour packages where you can live with communities see their lifestyle and get a chance to taste authentic Kashmiri food our Kashmir Tour are customized and very cheap at pocket.